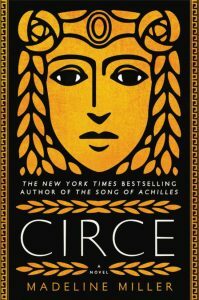 Circe is Madeline Miller’s retelling of the story of Helios’ unwanted daughter who doesn’t seem to fit with the world of gods or mortals. Circe has a unique power though – witchcraft and that power is threatening to the gods. She is banished to a desert island where she hones her skills and tames wild beasts and comes into herself as a powerful woman. Circe’s story shines bright even adjacent to the gods and her strength is an inspiration to all who listen in and watch where she goes. If you are not familiar with Greek mythology, fear not, the story is so engrossing you’ll be able to dive right in. However, if you want to know more, Madeline has put together a glossary of the characters that will help you build knowledge. Both the Spokane Public Library and Spokane County Library systems have lots of copies. Check out a copy from Spokane Public Library or Spokane County Library District. Or purchase a copy from Auntie’s Bookstore.